I don’t read fiction often and the only way I’m able to review a novel is to see if it resonates with me. That is to say, after I’ve finished reading it, does the story leave footprints on my spirit? 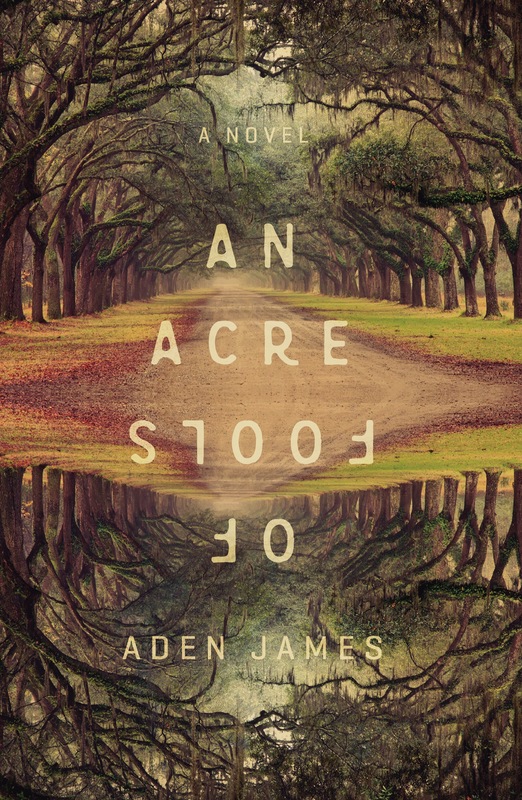 I purposely waited to write my review after completing An Acre of Fools by Aden James to see what my reaction would be after the book settled a bit in my mind. A week after completing it, I know I’ve just read an outstanding, important novel. The novel is beautifully written and engages the reader early and easily. The foundation of the novel poses supremely human characters facing the conflict of their actions versus spiritual teachings, the struggles of parenthood, and the manipulative devil of addiction. The larger message of this book is to define how the addiction of one family member takes down not only the addict, but also every member of the family. James crafts his message through a beguiling tale of an upper-class family in crisis. The format of the book is brilliant — using a literary vehicle of a family vacation home, writing the story in installments of annual vacations spent by the Stewart family at River Soul (the name they give their second home) on the Okatie River in South Carolina. The restful retreat welcomes readers just as it becomes a touchstone for the Stewart family and the stage for much of the story. The Stewarts could be any family (and that’s somewhat the point) – Peter, the father who is a driven man who builds his career not to obtain wealth but to provide for and protect his family as he feels is his Christian duty; Mimi, Peter’s wife and the love of his life who is a Southern lady; Grace Elisabeth, the sensible older daughter; and Austin, the youngest daughter plagued with a critical illnesses who and then gets sucked into the vortex of drug addiction. The book presents the ageless struggle of good versus evil without delivering a patronizing sermon. An Acre of Fools simultaneously softens and hardens readers to the raw debris of addiction by weaving a story about characters whose brutal choices are those that many of us fantasize about taking, but do not because we hold ourselves to society’s standards of lawful conduct. Aden James, a pen name, Is an author of talent and conviction. Don’t skip this book. Buy it, savor it and let it crawl through your soul. I promise it will. In a valiant gesture rarely seen in the publishing world, James is donating 90 percent of the sale proceeds from the book to causes focusing on addiction, human trafficking and family restoration. An Acre of Fools is published by Elevate Publishing and available for purchase from Amazon and Barnes & Noble.